Field tested on thousands of airboats in the Florida Everglades for over 37 years. 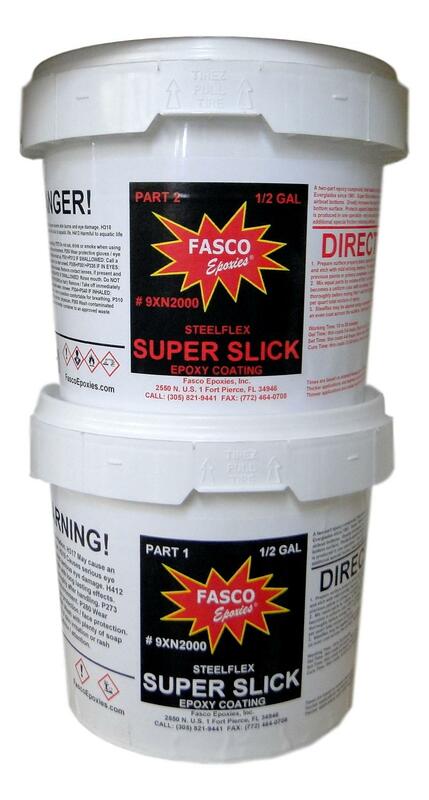 Super Slick is an Epoxy Coating unlike other competitor coatings. Super Slick surface contains teflon plus additional friction reducing additive. Same Steelflex toughness and durability proven on airboats since 1961. Can be rolled, brushed, or poured and spread. Application and dry time same as regular steelflex. All color kits come with a bottle of pigment. The whole bottle has to be added to acheive your color.